Are Nature’s Sunshine Products Organic? Andrew Ewan, Nature’s Sunshine’s General Manager in the UK and Ireland, says, ”the 21st Century has seen an ever-increasing trend of people wanting to take responsibility for their own good health and well-being, and many are turning to natural supplementation to help maintain a healthy body. Often we are spoilt for choice when we start looking for the right supplements. We can choose from the high street shops, the local chemist, even newspaper adverts with promises of unbelievably low cost products. You may ask yourself ‘why are they so cheap?’ Maybe the reason is that some companies use either cheaper synthetic ingredients or ingredients that may have been exposed to a cocktail of chemical pesticides and fertilizers. Nature’s Sunshine pharmacist, Clell Fowles, says, ”Even though Nature’s Sunshine uses organically sourced ingredients, it is impossible to label the products with an organic certification because most of our products contain organic wild-crafted ingredients. Allow me to explain … ‘Organic’ is a term utilised to describe a growing condition. To be certified organic you (as the grower) have to pay to have someone come out and inspect your farm and look at your records to make sure that you are not using any fertilizers, pesticides etc. Whilst we regularly buy ingredients from organic farms, we also use ingredients that are not grown on farms but are wild-crafted, that is, they are picked in areas where they grow naturally in organic conditions. Nature’s Sunshine tests all their raw ingredients to determine whether they are from organic farms or collected from the wild, to make sure that they pass our specifications, which include not having any presence of pesticides, herbicides and fungicides. If they contain any of these artificial chemicals then they will not pass our quality control tests. 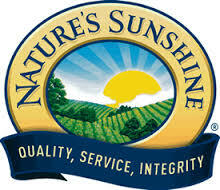 Look for Nature’s Sunshine products at our online store here. ← Did you know that the personal training/fitness profession (at large) is quite redundant?